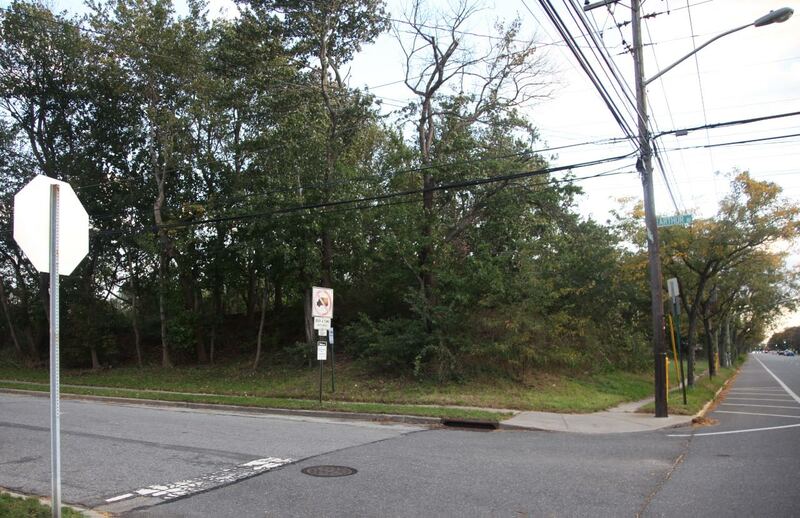 The 44th bridge in the series documenting the 60 bridges built by the Long Island Motor Parkway is the Jerusalem Road Bridge (now Stewart Avenue) in the Central Park (now Bethpage). 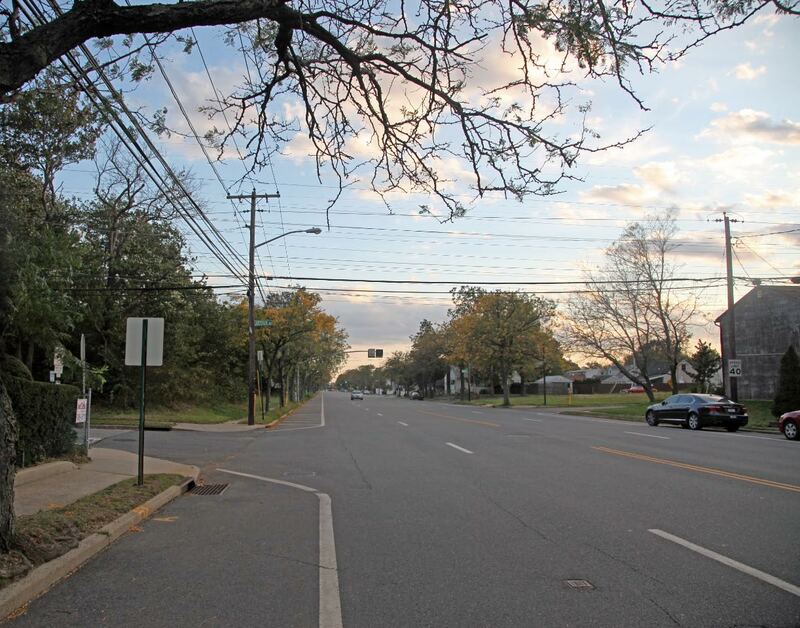 It is classified a "parkway bridge" since the Motor Parkway went on top of the bridge. 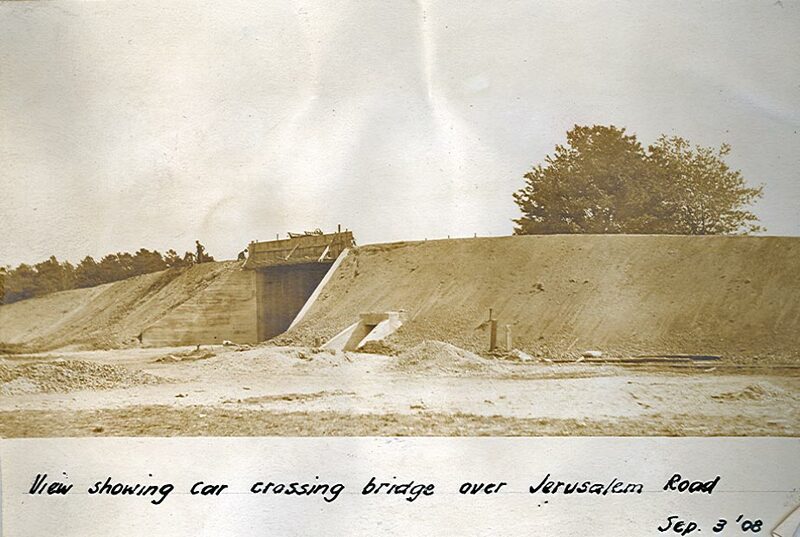 The bridge is often confused with Jerusalem "Avenue" Bridge which was further west. 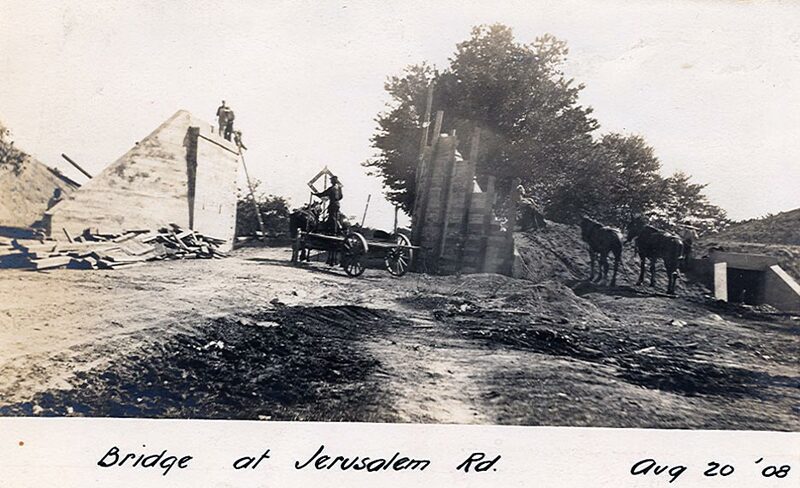 One of the original 16 bridges built for the Vanderbilt Cup Races, the Jerusalem Road Bridge is well-documented. 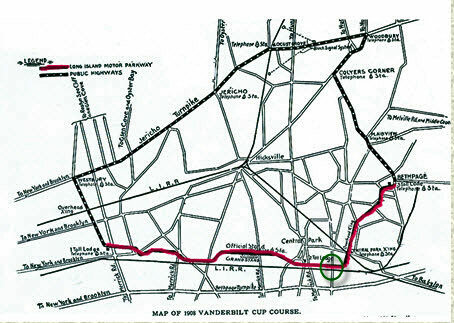 The 1908 course was made up of 9 miles of the Motor Parkway and 14.46 miles of public roads. 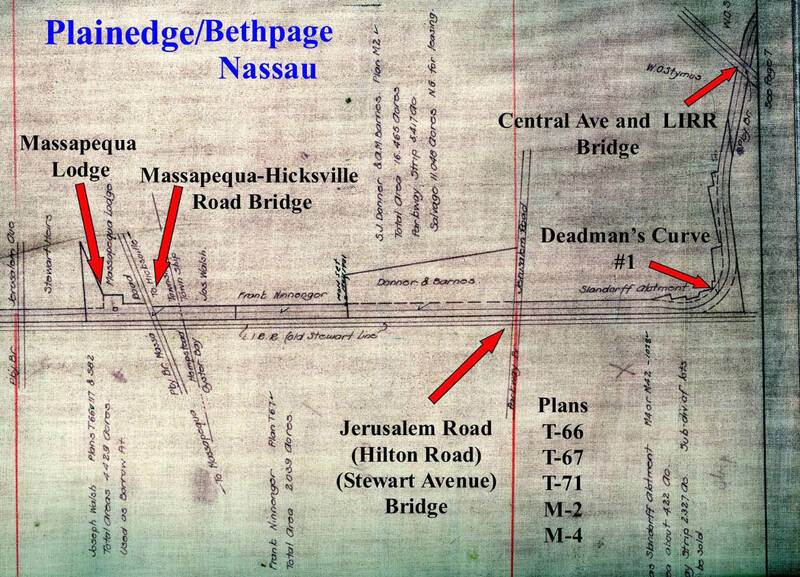 The Jerusalem Road Bridge was located in Central Park (now Bethpage) and less than a quarter of a mile from Deadman's Curve. The bridge under construction on August 20, 1908 looking south. 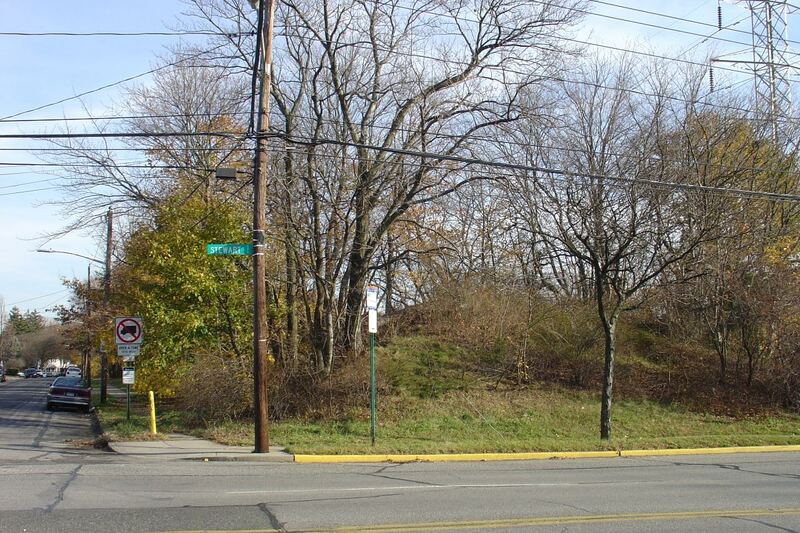 Note the flood culvert tunnel on the right. 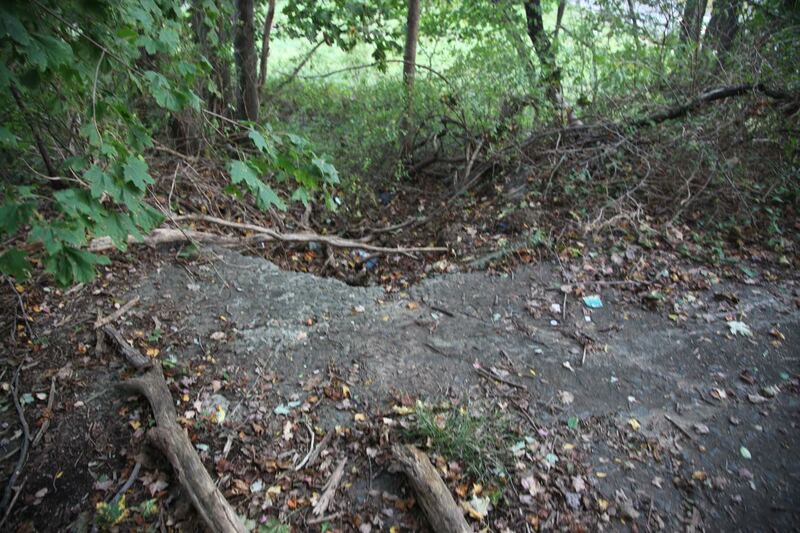 Culverts were built throughout the length of the Motor Parkway. The bridge as seen on September 3, 1908. 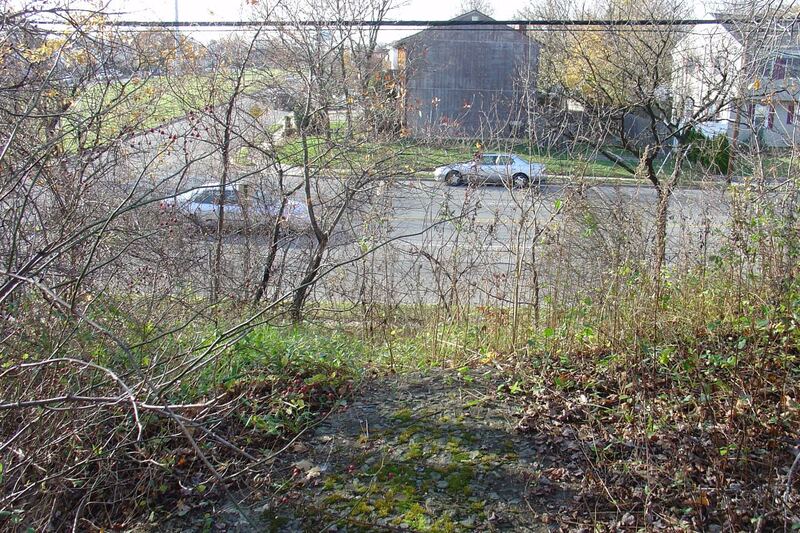 A railroad crossing sign for the Central Railroad can be seen on the right. 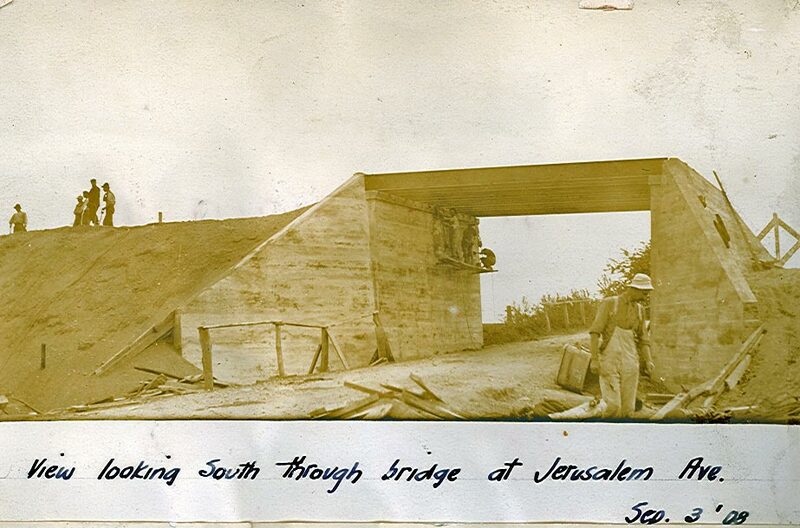 Another view of the bridge under construction. 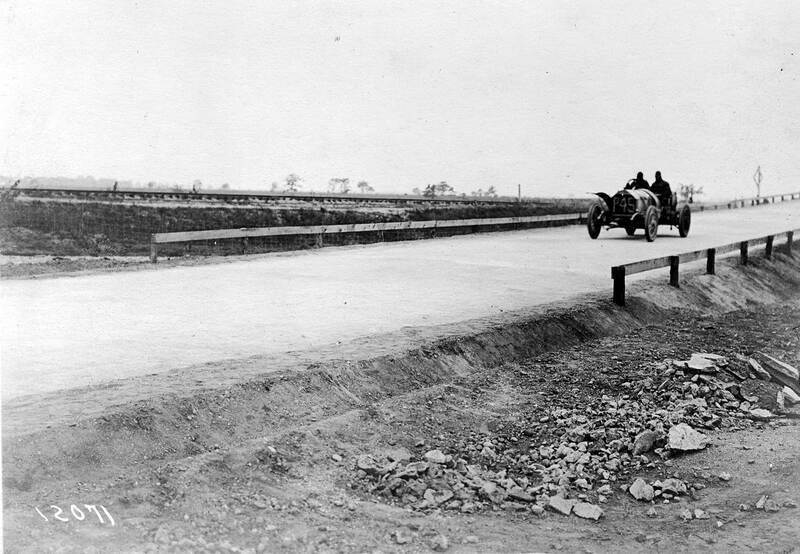 The Knox #P45 Racer leaving the Jerusalem Road Motor Parkway Bridge during the 1908 Motor Parkway Sweepstakes. Driven by Charles Basle, the Knox finished sixth of the 7 entrants, completing only 6 of the 11 laps. The bridge, looking south, was still standing ten years after the Motor Parkway closed. Photo provided by Bob and Colleen Albertson, courtesy of the Central Park Historical Society. 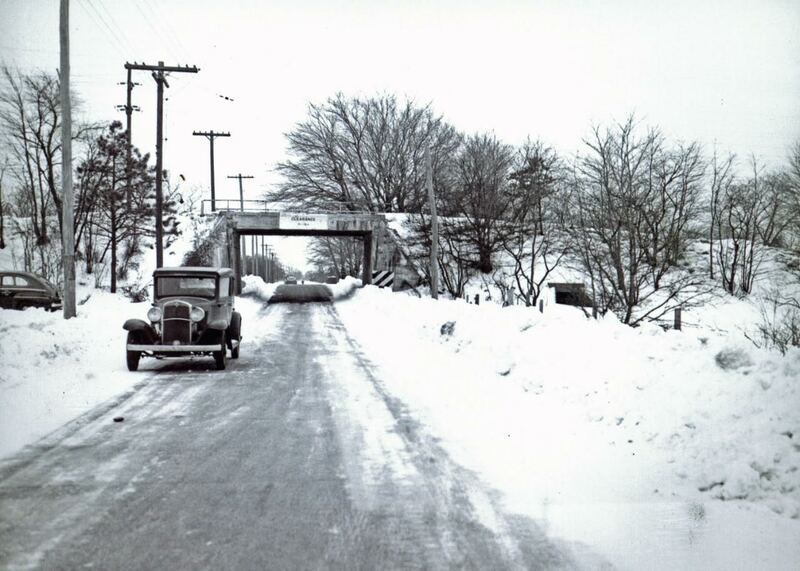 The bridge was taken down in the early 1950s. Two views of the embankment.